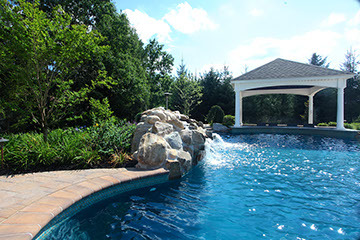 This Somerset, NJ free form pool has it all. 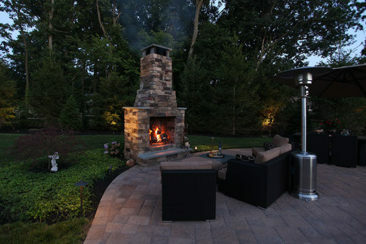 The client's vision was to have a resort-style feel in their backyard. 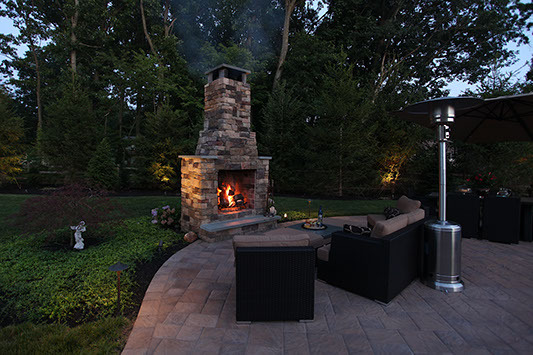 It has a sunken Cabana, outdoor fireplace, a built in grill island, and a huge paver patio ready for a very large party with lots of guests. 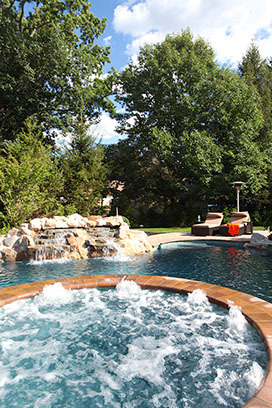 The pool features a boulder waterfall, raised spa, sun-shelf and a very cool swim up bar at the Cabana. 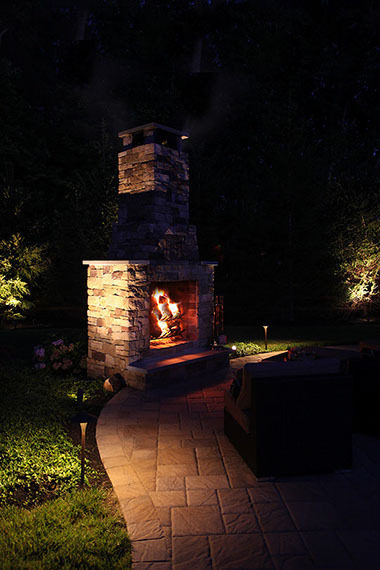 Last but not least, this space comes alive at night with low voltage lighting. 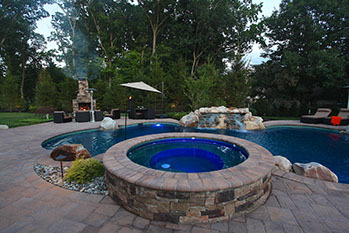 Resort style in ground pool project in Somerset, NJ. 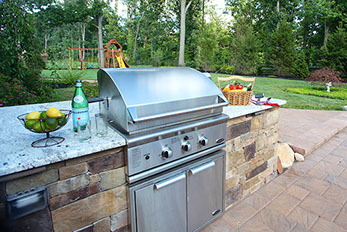 Built in Grill with stone veneers and Granite top. Swim up bar with custom bar stools in water. 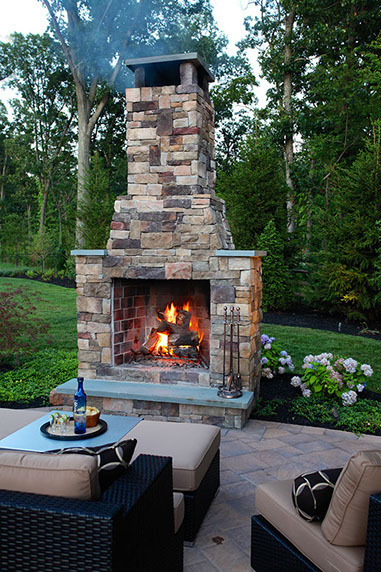 Outdoor fireplace next to in ground pool. 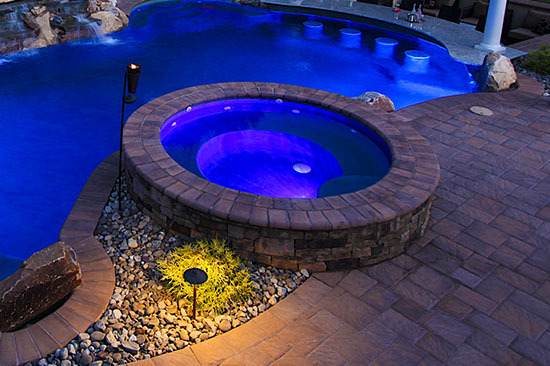 Raised Spa next to in ground pool. 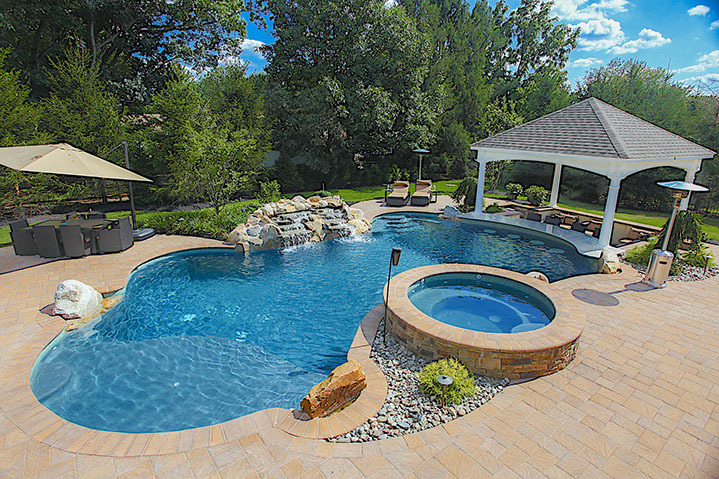 This free-form in ground pool has many marvelous built in water features. The swim up bar creates a unique experience not seen very often. The spa is raised and features water jets, heating, and colored led lights. 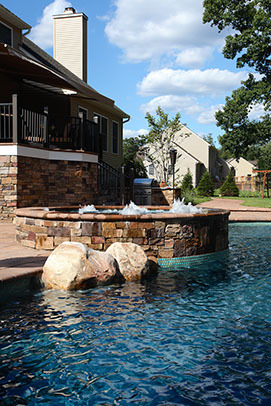 The boulder waterfall is custom made and creates a natural, awe inspiring oasis, with the flowing sound of water into the pool. 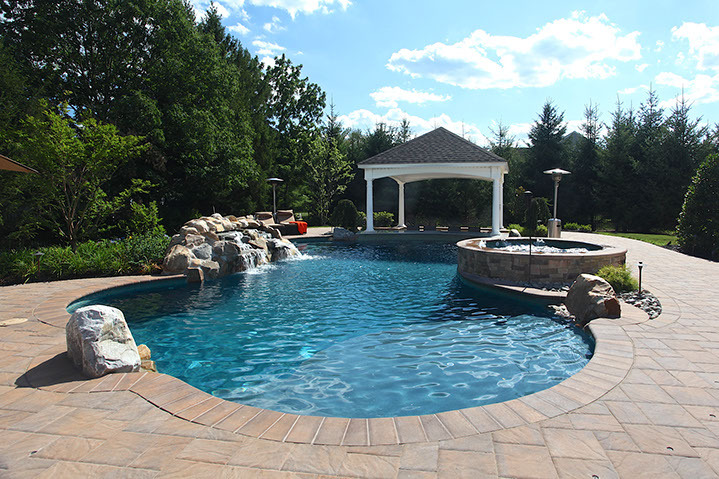 The large sun-shelf creates a great place to spend some time in the shallow end of the pool. 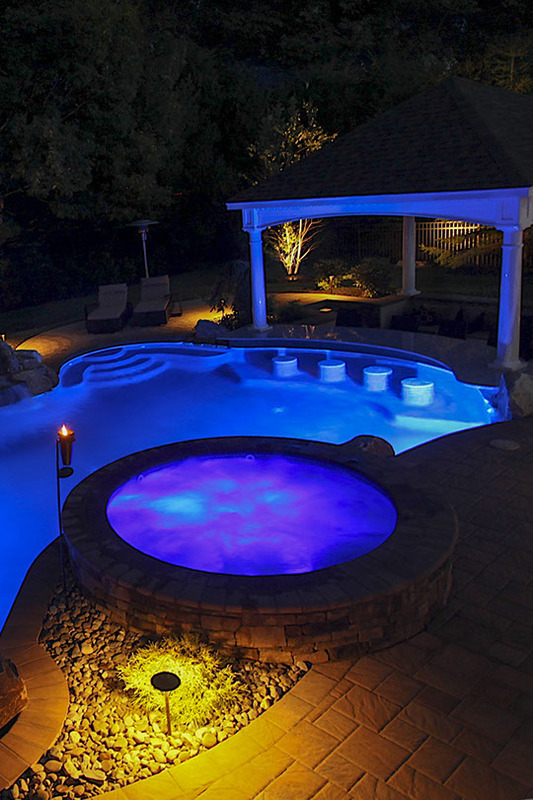 This pool also features colored led lights that transform this pool at night. 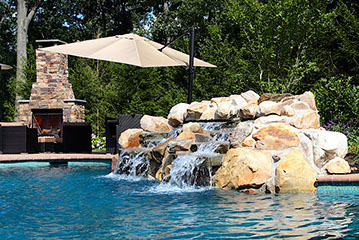 Free-form pool with water features such as a boulder waterfall, sun shelf, swim up bar, and raised. This swim up bar is really unique. 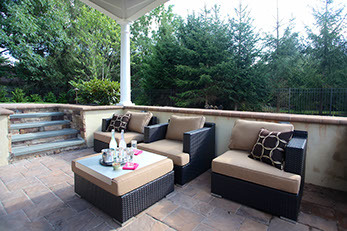 It integrates the cabana with the pool wonderfully. The well thought out design incorporates a sunken paver pad underneath the cabana which puts people inside the cabana at the same level as people in the swimming pool coming up sitting at the swim up bar. This creates a truly unique experience unlike any other. 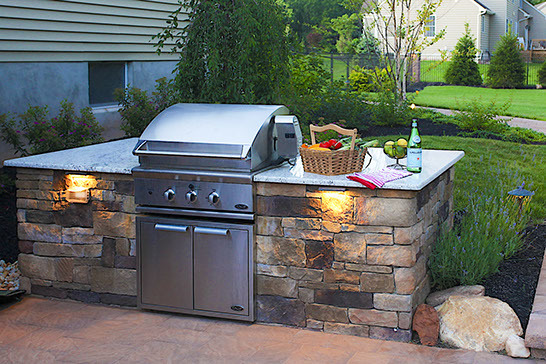 There are many details such as the granite bar top, tiling on swim up bar stools, built in boulders, pool side landscaping with river jack stones with weeping evergreens mixed with other small bushes which just make this place so exquisite. 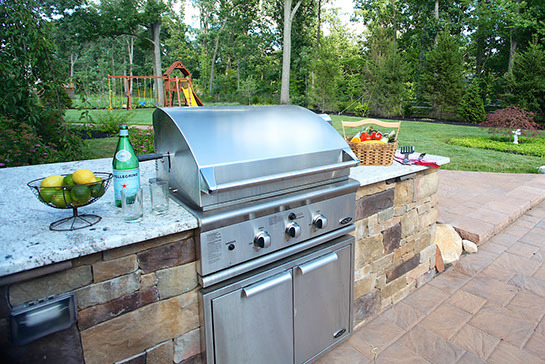 With this in your back yard, why would you ever want to leave home to go out? Custom rock waterfall with 2 streams of water. 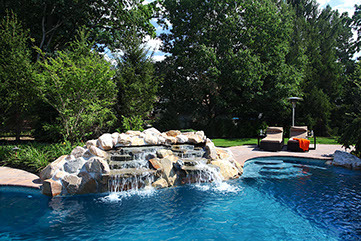 Boulder waterfall next to in ground pool. 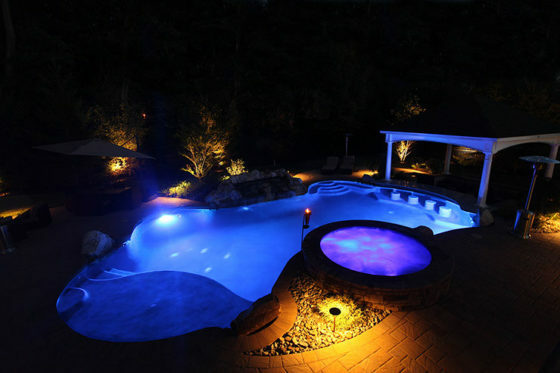 Raised spa with led lighting and custom pool side landscaping with river jack stone and low voltage path lighting. 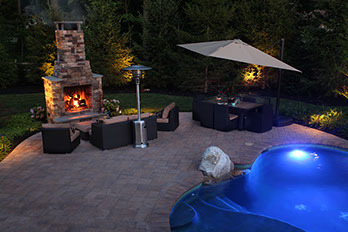 Raised Spa next to in ground pool with swim up bar.